$560 Investment Creates $71,000.00 A Year Online Business… In Only 4 Weeks! 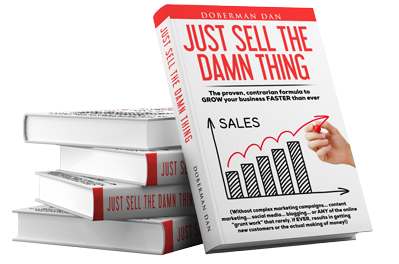 Here’s a brief video interview with one of my subscribers to my monthly “paper & ink” newsletter, The Doberman Dan Letter. He simply did what I taught him in the newsletters… AND on our special subscriber consultation calls… and what has happened is pretty amazing. Next post: Who Should I Learn From? Previous post: Make More Money, Be More Productive… And Your Own Personal Camelot!